I'd describe this Bulletin as "two for the price of one". We are covering our meetings on 11 and 18 March 2019 both of which had a youthful theme. 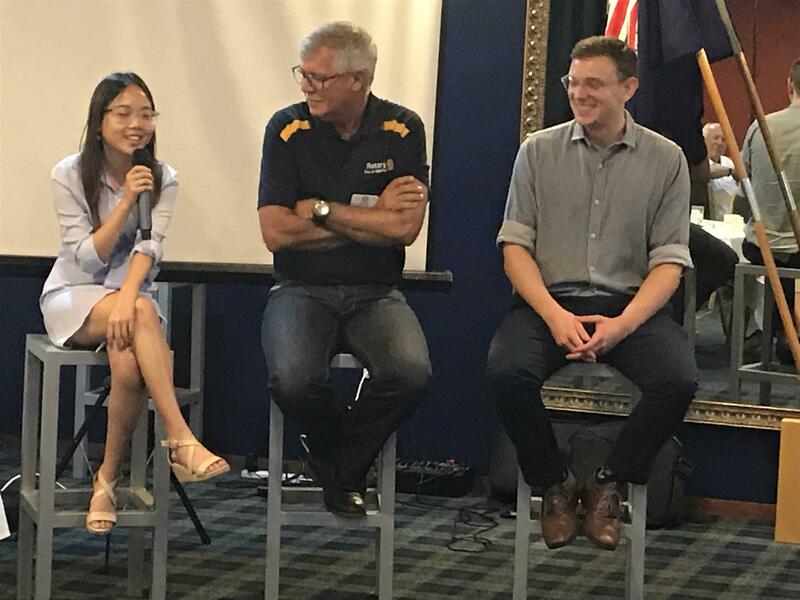 On 11 March (and 18) we had the pleasure of the company of Noel Galopin (who has since been proposed for membership); plus the twelve executive members of the Willetton Senior High School (WSHS) Interact Club and three of their facilitators, Pip Peake, Sue Thorp and Helen Wong. The Interactors (ten of whom are also school counsellors) were there to receive certificates to recognise their elevation. They are most definitely to be commended for the development of their leadership, communication and organisational skills. See the full report at right. Also recognised were the Head Boy (Araan Kousari) and Head Girl (Jae Brieffies) who are both Interact Executive office bearers. Jae is Interact President and Araan is Head of Publicity. The Interact Club has another reason to be very proud. They are one of nine semi finalists in the WA division of the Seven News Young Achievers Awards. Their category is the Youth Group Achievement Award sponsored by Woolworths. The awards will be judged on 27 March 2019 and the winners will be presented with their Award at a Gala dinner to be held 25 May 2019. On 18 March Lily Palmer. 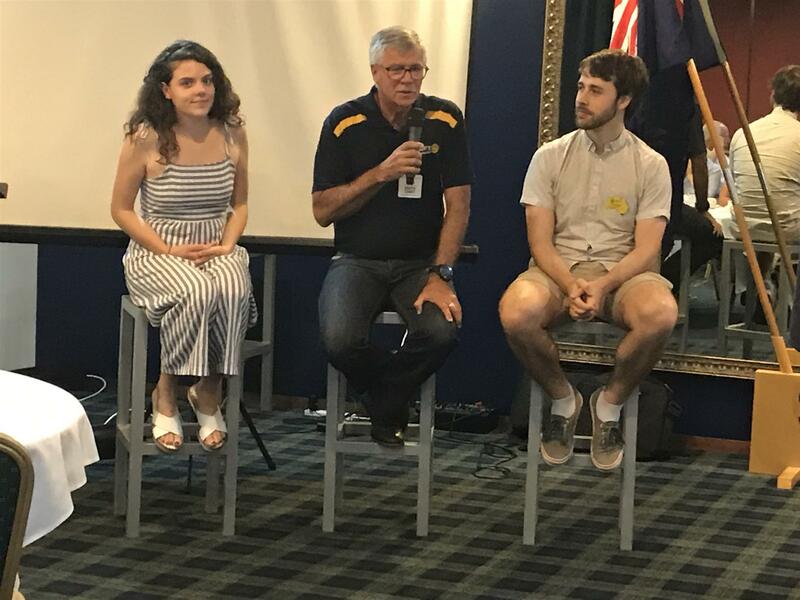 Luke Warlick, Josephine Santosa and Matt Lowe returned to the Club to give us a first hand account of their attendance at the Rotary Youth Leadership Award (RYLA) camp in January. The Club Director of Youth Service, Simon Cubitt, conducted his usual Q&A with his usual aplomb. Without giving too much away (Luke said they'd been sworn to secrecy) all left us in no doubt about the challenges they faced to work as a team; stepping forward even when they were not naturally inclined to do so; developing heightened emotional awareness and testing their values and beliefs; and problem solving when sleep deprived. All said they derived great benefit from the experience and expressed their gratitude to the Club for its sponsorship. Anna was also with us on both nights. Apart from schooling, surfing and socialising she has a busy schedule over the next couple of months including: the District Conference (just past on 22-24 March); followed by a trip to Bali and a few weeks later, by the Northern Safari. It's just another reminder of how the time is flying by. Before we know it, Anna will be heading home and we'll be greeting our next exchange student, Johanna Lundblad from Sweden. Johanna will be in the safe hands of our incoming Club Director of International Service, Steve Genoni; and Anne Edgar who has agreed to be her Counsellor. 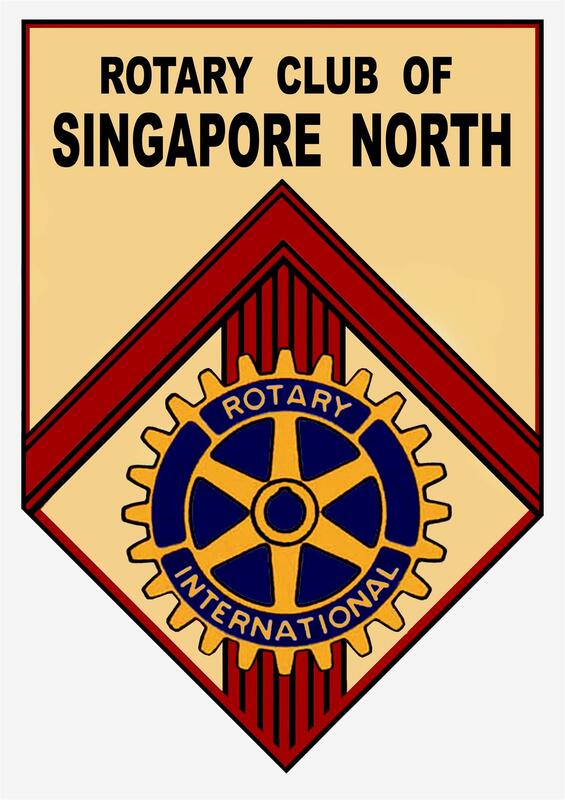 Geoff Geary continued the international theme on 18 March with an International toast to the Rotary Club Of Macau and to balance things up we've slipped in Ric Davies' toast (on the 25 March) to the Rotary of Singapore North (Both below). On 11 March the Club presented a cheque from the Good Works account for $2,500 to Ian Ross for Hands Across The World. Ian was kind enough to give an impromptu presentation about this very worthy educational charity which we report on at right. The Club has also recently made a down payment of $1,000 to the North Queensland Flood Appeal. The balance of our donation will come from the proceeds of the Silent Auction at the Willetton Rotary Community Fair on 7 April 2019. There's an attractive Early Bird offer on the 2019 Entertainment Books. To order Click here. The Fair is only two weeks away on Sunday 7 April. The duty roster has been reviewed and circulated and we'll be briefing everyone fully at our meeting on 1 April. In the meantime keep those donations coming for the Silent Auction; the Toys, Tools and Little Treasures stall; as well as jars for the jams Mary Henderson is organising to be made. And finally just another reminder that we are still needing a President Elect for 2019-20. It has been agreed that role will be modified to achieve a better distribution of responsibilities and with the support of the many Past Presidents in the Club it will be very rewarding, not onerous. The other appeal is for nominations for District Governor 2021-22. If you are up for an incredible life changing experience, this would be it. Geoff chose the Rotary Club Macau because he lived on the island of Macau for two years. Macau is the gambling capital of the world. With over thirty (30) casinos and a turnover greater that Las Vegas. The Rotary Club of Macau was chartered on 16 June 1947 and is the second oldest Club in Rotary International District 3450. The Club has forty five (45) members led by President Elvo Sou. They meet at the Macau Tower Convention and Entertainment Centre each Thursday from 8pm-10.30pm. 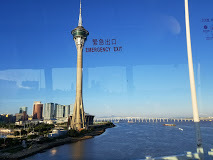 As a matter of interest the Macau Tower (pictured below) is an exact copy of the Sky Tower in Aukland NZ. The Club sponsors an Interact Club and a Rotaract Club and run the Macau Grannies Day Out, Rotary Blood Donation Day and a Christmas Party for mentally handicapped children. Internationally, they run water projects in China, assistance to Japanese residents affected by the great eastern earthquake and have provided relief for those affected by Cyclone Tacloban in the Philippines. The club currently has 25 members. Singapore Tree Planting Project - in which 26 clubs from District 3310 particpated. Trees planted in Bintan Indonesia. After the presentation Jae Brieffies (Head Girl 2019) and Araan Kousari (Head Boy 2019) spoke on behalf of the committee. 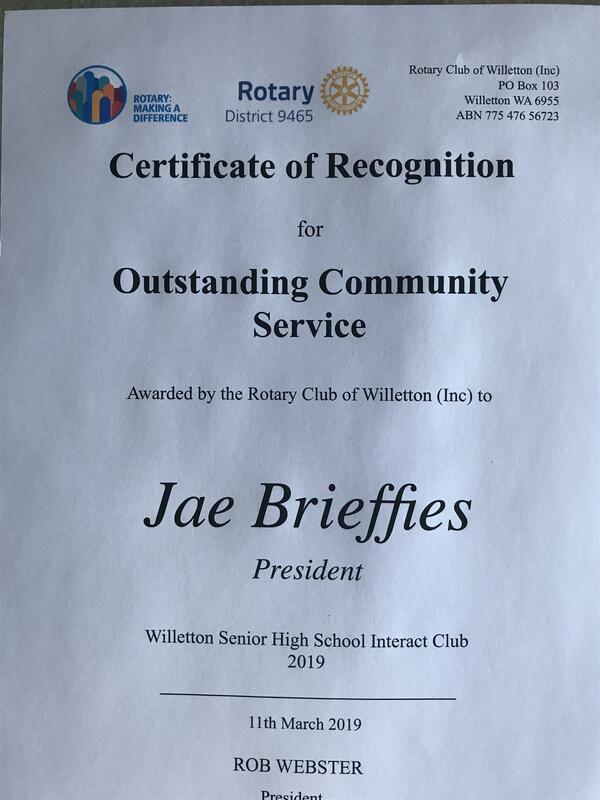 Jae: First of all, we’d like to extend a big thankyou to the Rotary club for hosting us this evening and for recognising the work of our many exceptional students and leaders from Interact as well. It’s an honour to have been elected to these positions for the both of us. Because this position holds such opportunity for change and for progress that we both value very highly. The fantastic thing about Willetton is the potential greatness in so many students that we get to see and work with every day, and we view our position in the school not as one of authority, but of guidance. It is our goal to be able to unlock the greatness of the many amazing students we encounter at Willetton, and to channel their ideas and work towards the progress of our school and community. It’s a personal motto that great leaders don’t create followers, they create more leaders. And this opportunity that we have been given in 2019, we hope will allow us to further empower the incredible people around us to fulfil their potential. Araan: Yes absolutely, Jae and I are incredibly honoured to have been elected as Willetton’s head boy and girl for 2019, we have some big shoes to fill following from last year’s head boy and head girl, Josephine and Nikita, so we hope we can make a lasting impact and live up to their legacy. Jae: Obviously Interact has changed both of us and helped us to grow as leaders, as individuals and as community members. Much of what we intend to accomplish this year as school captains is strongly tied to the values we have been able to cultivate throughout our four years in Interact. 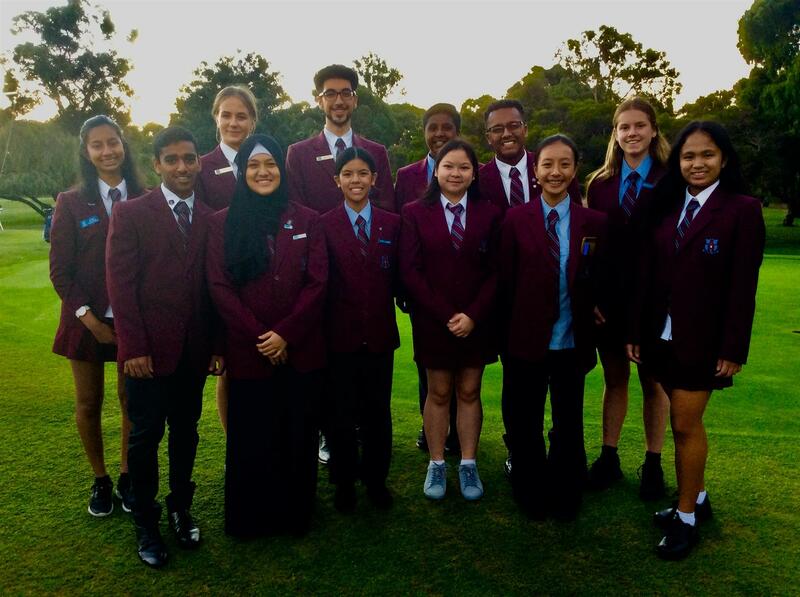 Whether that be empowering our younger peers to make positive change in their communities, or encouraging others to find meaning in selfless service, we aim to create the opportunities that Interact and Willetton High has created for us, for as many students as possible. We are lucky to have an incredible group of student counsellors working with us, all of whom, I must note, are members of Interact, to achieve our common goals. We know that this team will continue to motivate each other, throughout 2019, to be the change that we all want to see in our school and community. We cannot thank our council and our staff base at Willetton enough, and we hope that this year, in our final year, we can give our best to the school that has shaped us in so many ways. Araan: And finally, thank you Mr Cubitt and the Rotary Club of Willetton for inviting us all here tonight, and thank you to our cohort and council for placing their trust in us and for all your support as together we begin our odyssey for change. It is our belief that if QUALITY education is given to every child in a safe environment through QUALIFIED teachers, they will have the chance to choose a better path in their future. We believe that quality education is the game changer. 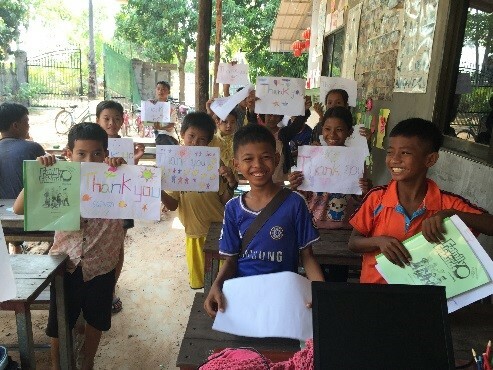 It provides opportunities and empowers the people to create a brighter future especially for children. 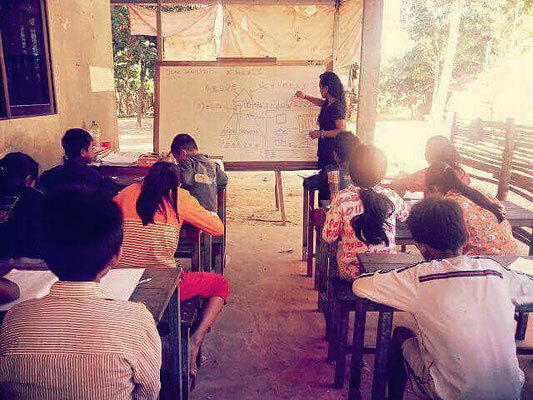 We do this through our Educational and Teacher Training Programs.